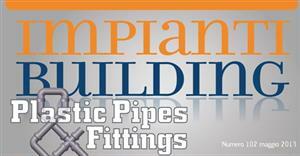 Haul-offs for pulling solid-wall pipes in ABS, PVC, PE and PP. Independently driven caterpillars using vector motors. They allow a constant pulling power. 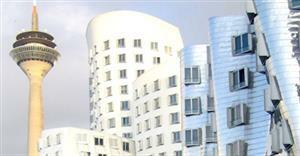 Furthermore, they reduce energy waste and the number of moving parts subject to maintenance. Long caterpillar contact length assures a good grip on the pipe and provides considerable pulling power. Caterpillars bow profile. 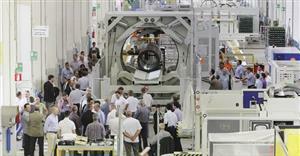 The shape reduces stretching and wear of the caterpillars, thus prolonging the life of the machine. Pivoted upper caterpillars which feature a pipe crushing control system. 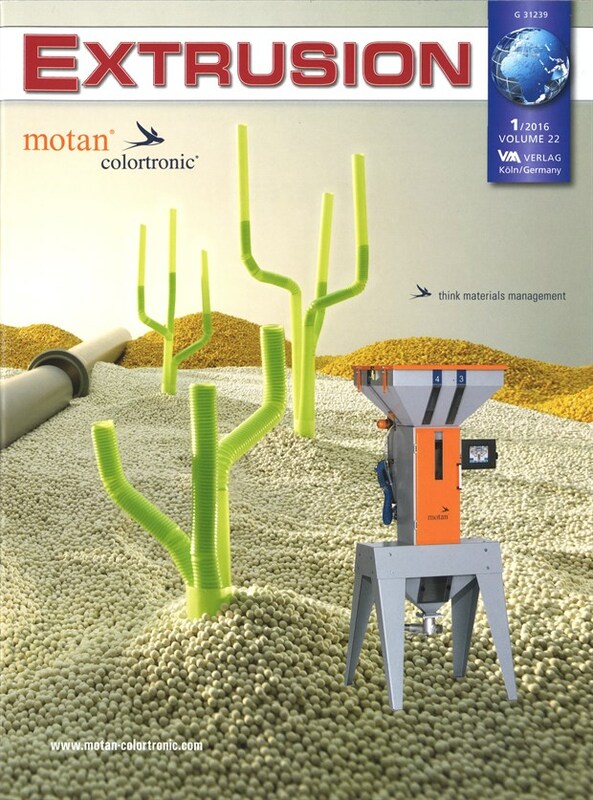 Motorized positioning of lower caterpillars that can be adjusted according to the diameter. Chain conveyors with neutral rubber pads on chains that do no mark the pipe. 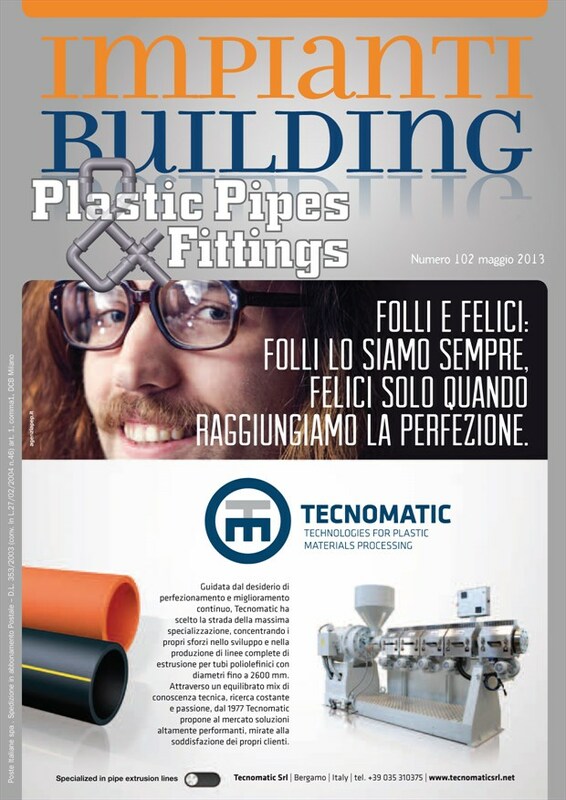 Keep up with Sica's latest news and events through the main field magazines and make sure you receive "Pipes online", Sica's newsletter. 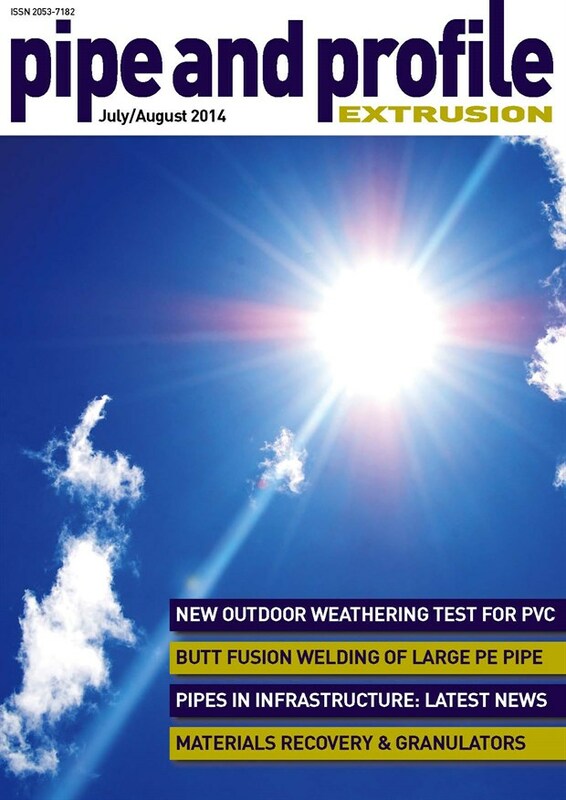 It delivers in-depth reports, the latest information on the industry's most innovative products and details about events that can't be missed. 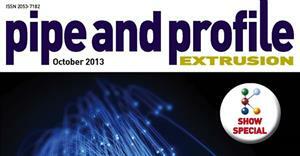 Knowledge at your fingertips, enhancing the value we deliver to you. We hope you enjoy it! Not to be missed. 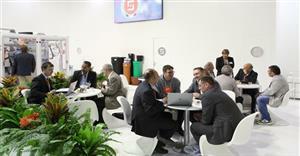 Let's get together during Sica's open houses, worldwide exhibitions and conferences. 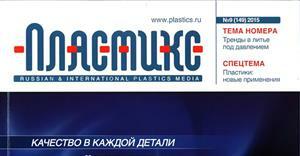 We participate in many plastic pipe events to promote our new technologies and also our classic products. 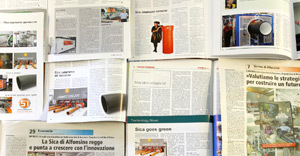 Sica's innovation in organization and technology are often published in the major Italian and international plastic magazines. See what they have to say about us. 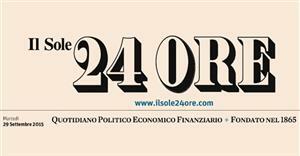 More and more people and companies think in terms of savings, sustainability and ecological economics. 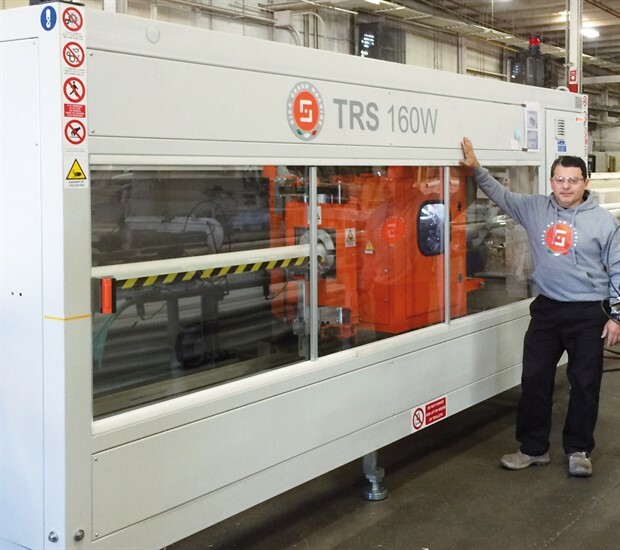 Sica has helped to save energy, raw materials and to maintain clean and safe the environment with the development of a new range of automatic in line planetary saws: the TRS W series. Available, depending on the tube diameter, in the TRS 160 W, 250 W, 400 W and 500 W versions, they are featured with a technologically innovative and unique system in its kind for cutting and chamfering plastic pipes (PVC-U, ABS and PP) without any removal of material. 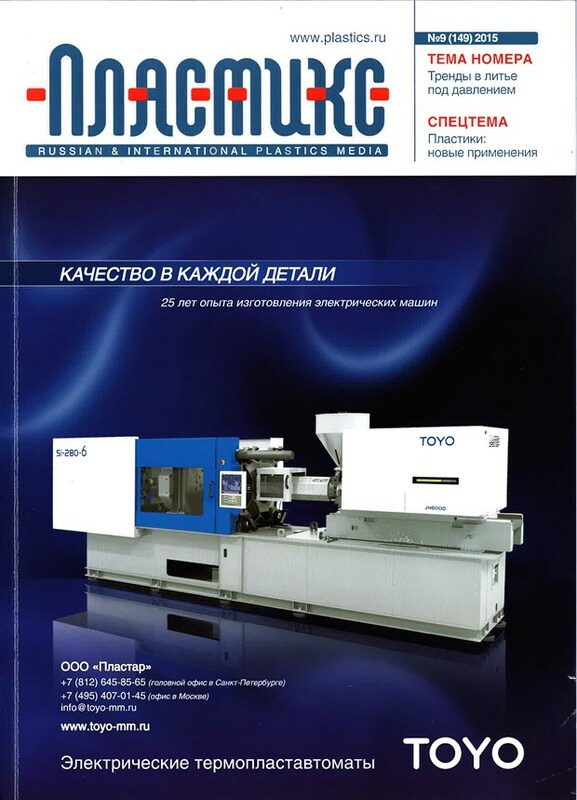 The particular architecture and the revolutionary cutting and chamfering method of the machine was patented by Sica (EP2828047B1) and allows the W models to overcome all possible problems related to the production of dust and chips related to classical processes. need by the user to implement the appropriate internal measures for the collection, storage and disposal of the dust/chips produced during the cutting/chamfer process. complete absence of any problematic related to suction systems of chips/powders such as collection, storage and subsequent disposal. All models are equipped with electrical synchronization and double belt movement for high dynamics and equipped with cutting on the fly and CNC which ensures in every operating condition the necessary precision of the cut pipe length (± 1 mm). This system in fact allows perfect synchronization of the cutting/chamfering unit with the pipe speed and its consequent accurate positioning at the exact point to be cut/chamfered. The possibility of making "cuts on the fly" (Sica patent EP129515), optimizes the useful stroke provided to the cutting unit, increasing its potential in terms of cuts/chamfers performed. All models of the range are fitted with touch-screen color operator panel with clear and legible icons, and the remote service option for diagnostics and real-time service on the machine. 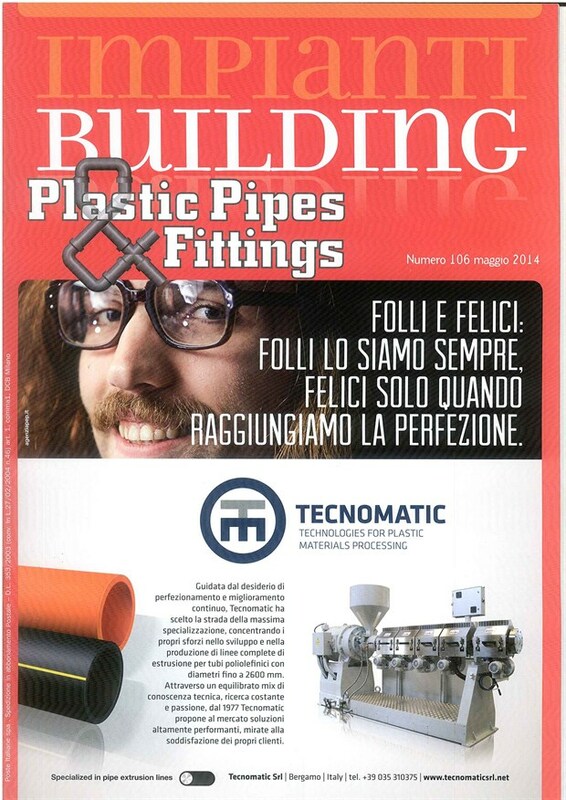 With this solution Sica gave a clean cut to the issue of chips, powders and plastic filaments providing an "ecological" saw and reducing the production costs for the tubes extrusion. 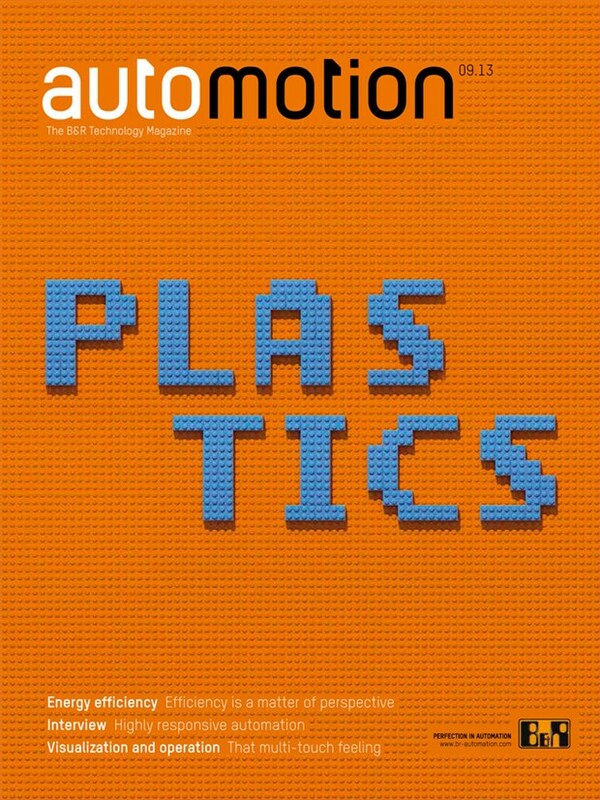 In recent years Sica has developed applications with anthropomorphic robots for the end of line of extrusion lines with the aim of showing up on the target market even as a "solution provider". By adopting this technology, in fact, depending on the type of problem to be solved, Sica today is able to be very flexible in identifying the best solution for the customer in terms of cost and performance. 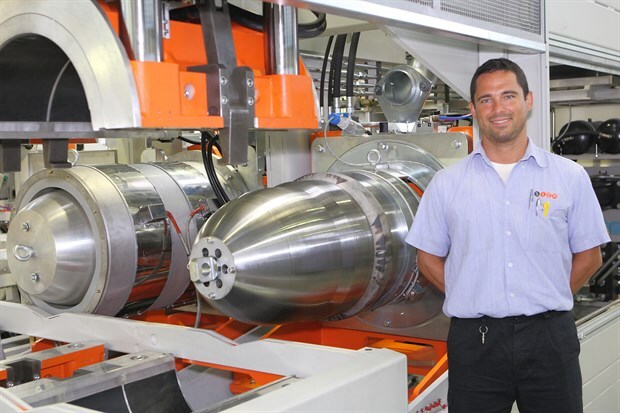 Always counting on a large range of automatic machines for the most varied pipe packaging and handling requirements at the end of the line, and thanks to the use of robots, where necessary, Sica has already delivered installations capable of solving problems that once would have required long delivery times and brought significant difficulties in reaching the productivity and reliability levels that this sector requires today. In particular, the company has gained a specific technical know-how in designing the most appropriate gripper to the particular manipulation need and type of pipe. ease of integration: the integration of the robot operation inside of the line, both from the software and safety point of view, is simple and immediate and open to changes during the implementation of the initial project, which commonly occurs. 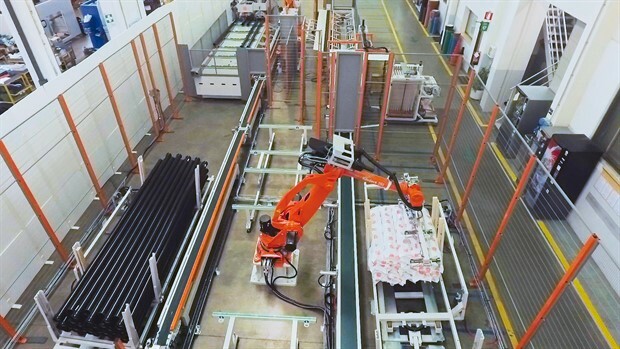 Especially in the field of pipe packaging and packing at the end of line, the use of robot cells has thus simplified the layout of the lines in many cases, allowing both significant savings in terms of space and an increase in the overall reliability of the system totally for the customer's benefit. Ultimately, today Sica can design and implement systems that include the use of robots, even of manufacturers that the end customer prefers, relying on a team of engineers and technicians which have an adequate know-how and able to implement these installations all over the world. The use of stretch film, especially suitable for packaging corrugated pipe, has many positive aspects that often are preferred to the use of polypropylene strapping, especially because of the greater maintenance to which traditional strapping systems are intrinsically subject. 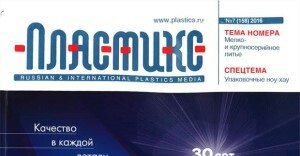 Furthermore, from the productive point of view, the economic advantages deriving from the use of stretch film are immediately evident and Sica provides leading solutions to this: in fact, where it is usually necessary to have more than one machine in the production line (winder with strapping machine, shrink film wrapping machine and oven), Sica offers a single compact, flexible, reliable and secure machine, that alone allows you to switch from the tube to the packaging. 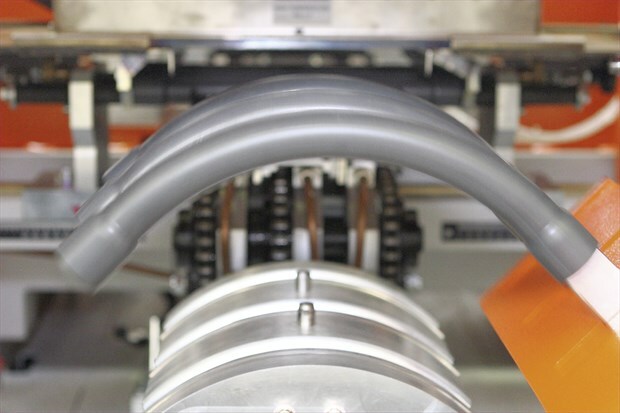 Flash 450 wraps the product with film in a circumferential manner, by means of an innovative mutual handling system between the film and the coil; with this system, you can fully cover also the sides of the coils, contrary to similar conventional systems (Patent PCTIB2016052545). Compared to the traditional circumferential packaging techniques, with equal coil size, this method allows a considerable saving of film (up to 30%). Another relevant feature, much appreciated by users-installers, and common to the machines of the Flash family is that you can use the pipe up to the last turn without the packaging coming apart. This means that the pipe is protected and neat up at the end. Specifically, with regard to the FLASH 700 model, it can wrap corrugated pipes from 16mm diameter up to 63mm diameter and it can make coils with a minimum length of 25m. Productivity is 72 coils per hour. In the most advanced version, the diameter and the winding width adjustments are automatic. As regards instead the FLASH 450 model, it can wrap corrugated pipes from 16mm diameter up to 32mm diameter, while the maximum outer diameter of the coils is 450 mm. 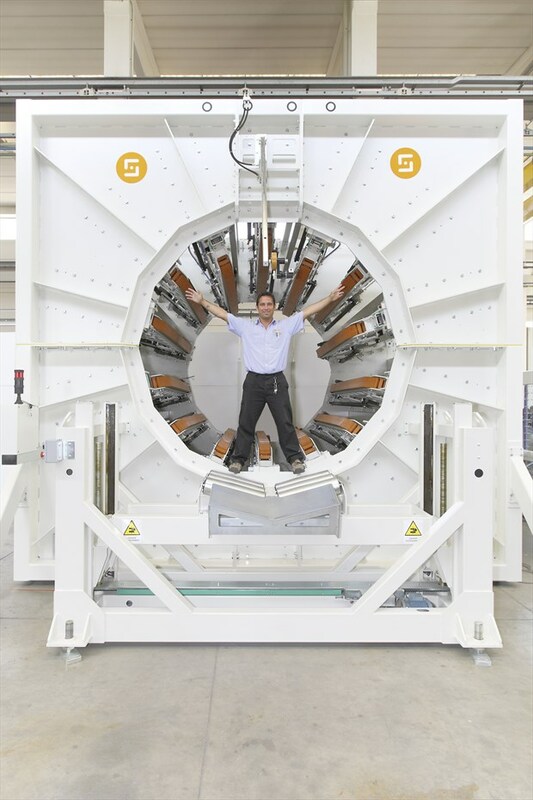 The machine can make coils with a minimum length of 10m with a productivity of 120 coils per hour. The basic winding settings are automatic. 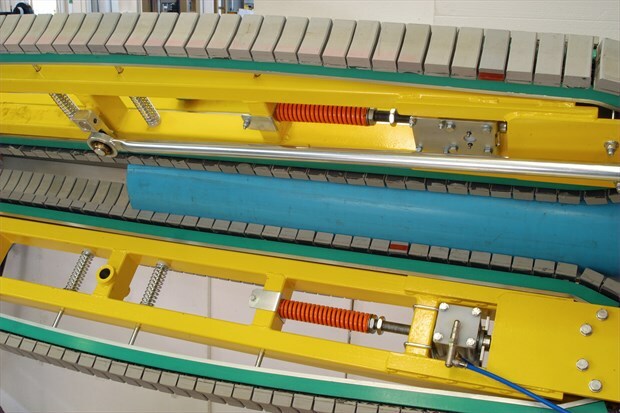 Based on the success of these models and their versions, and of the strapping winders, Sica has sold hundreds of machines and has become an important reference point in the flexible pipes winding field. 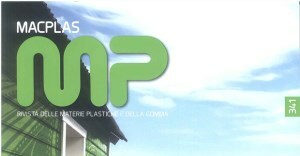 The need for innovative green technology in the plastic pipe production industry capable of guaranteeing high performance, process flexibility and ease of use while allowing reduced energy consumption, has become increasingly pressing and has had a marked influence on the design of the various types of extrusion line machinery, including belling machines. 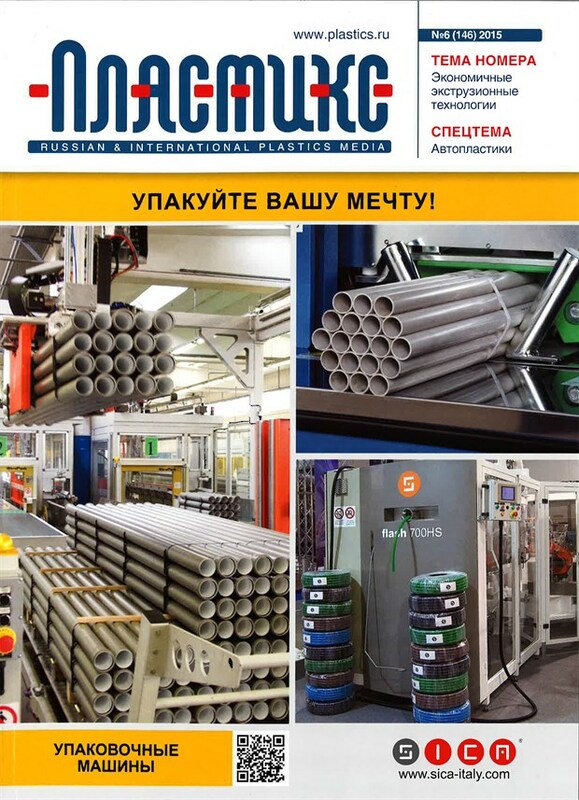 Sica, a specialized manufacturer of downstream equipment in pipe extrusion lines and keenly aware of the factors outlined above, was the first manufacturer to offer belling machines with an electromechanically operated socket forming unit in place of the conventional hydraulic and pneumatic solutions. 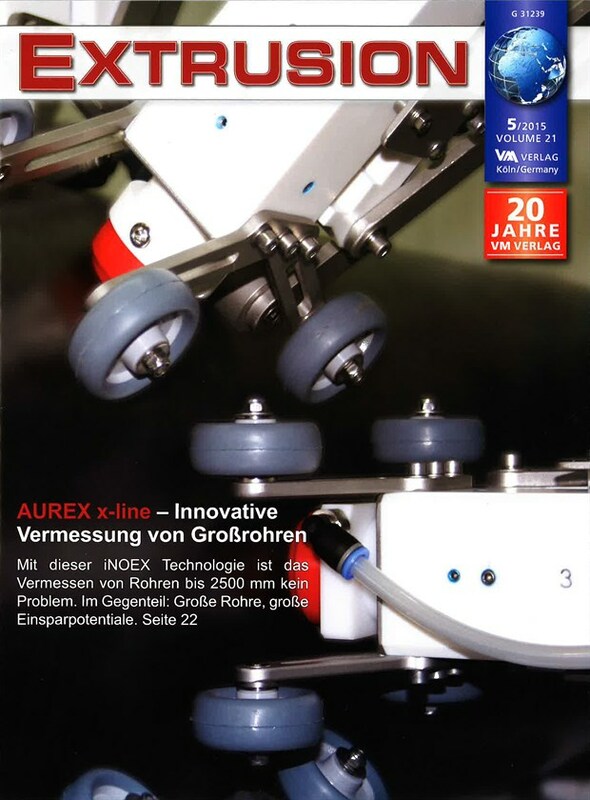 The decision to use electrical technology produced several benefits: highly dynamic operation, low noise levels, exceptional precision and repeatability of positioning, total real-time control of process parameters in terms of working strokes and speeds, which is important especially for belling machines that were originally pneumatically operated. significantly lower energy consumption, strictly related to the socket forming cycle. 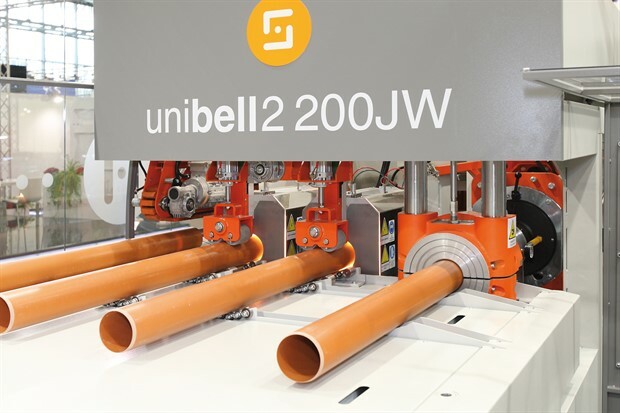 The market responded positively to Sica's newly introduced “Unibell” electric belling machines for PVC-U pipe diameters up to 200 mm and 250 mm. The Unibell belling machines heat the pipe by means of short wave IR heating elements (called IR-SW ovens, or simply “short wave ovens”) that maximize heating efficiency thanks to accurately defined oven geometry, precise distribution of the heating elements, and structural and electrical configuration of each heating element in relation to the specific plastic material to be heated. 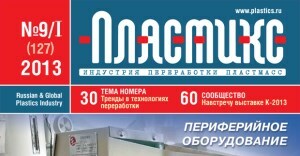 The many benefits of this system include lower effective energy consumption, compared to the one of the conventional heating systems, because the heating elements operate exclusively during the heating stage and for the time strictly necessary for the pipe to reach the required final thermal conditions. Instead, in conventional ovens, only a minimal part of the energy consumed is used to actually heating the pipe, while the remainder is used to keep the oven at its working temperature or it is simply lost in the environment. 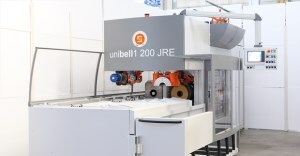 With sales of around sixty Unibell models in the past two years, the positive response from the market led SICA to proceed in this line of development and devote more and more resources both to the optimization of electrical technology applied to plastic pipe thermoforming operations and to the increasing of efficiency and reliability of the process. Electrically powered thermoforming solutions have also been extended to our Unibell 400 range (for PVC-U pipes up to 400 mm in diameter), to belling machines for PP pipes up to 200 mm in diameter (Everbell) and to Multibell 110 Rieber belling machines, designed for Rieber system multisocketing on PVC-U pipes of up to 110 mm in diameter. 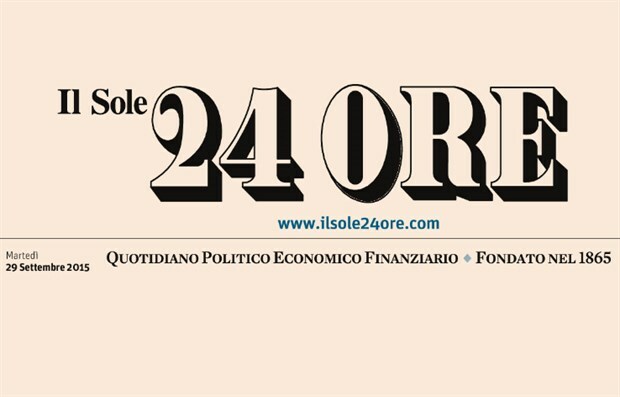 Sica's decision to invest in these new technologies encourages not only a regard for the environment, it also leads to a reduction of pipe production costs, thus allowing faster returns on capital expenditure. Sica has patented an innovative method for cutting plastic pipes that makes it possible to reach very high production rates (patent EP2008749). The machines are designed to cut and chamfer PP, HDPE and PVC-UP pipes, performing simultaneous double cutting cycles automatically. For example, the Duet125 automatic cut-off saw can reach hourly production rates of around 2000 pipes of 150 mm in length + sockets and more than 2300 pipes/hour of 500 mm length + sockets. At the same time, the system also guarantees the necessary cut length precision (tolerance of ± 1 mm) thanks to the machine's CNC control system. This system allows perfect synchronization of the cutting unit with the pipe extrusion speed and consequent exact positioning of the unit at the required cutting dimension. Moreover, the machines are equipped with specific anti-wear tools to guarantee exceptionally high and enduring quality of the cutting/chamfering process. The logical control system also offers ‘on the fly’ cutting capabilities (Sica patent EP129515), optimizing the use of the effective stroke to further increase output in terms of the number of cuts/hour. Equipped with an intuitive icon-based graphic interface and a classic production system for preset sequences of lengths, the machine also features a new length sequences management system. 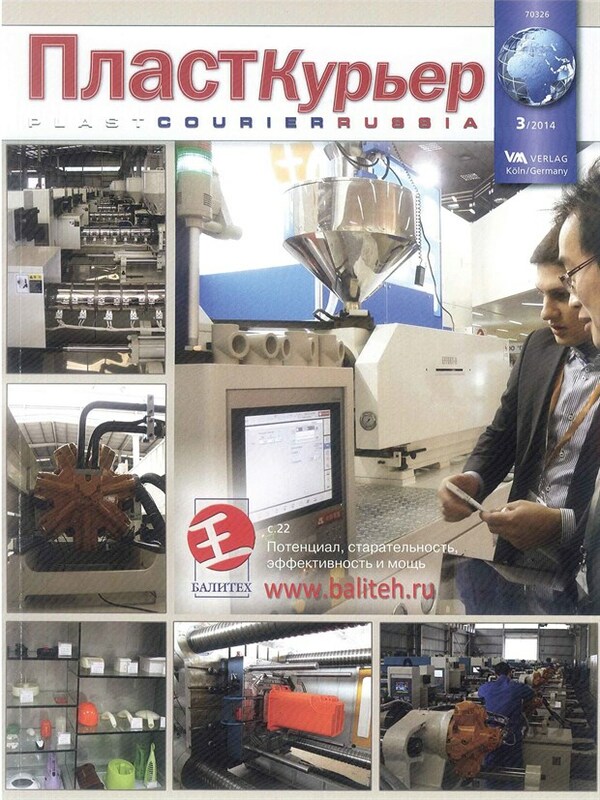 Specifically, having entered the basic production parameters (extrusion speed, pipe diameter, capacity of downstream machines) the user can define the required production batches, automatically optimized by the system in order to exploit the machine's potential to the full. 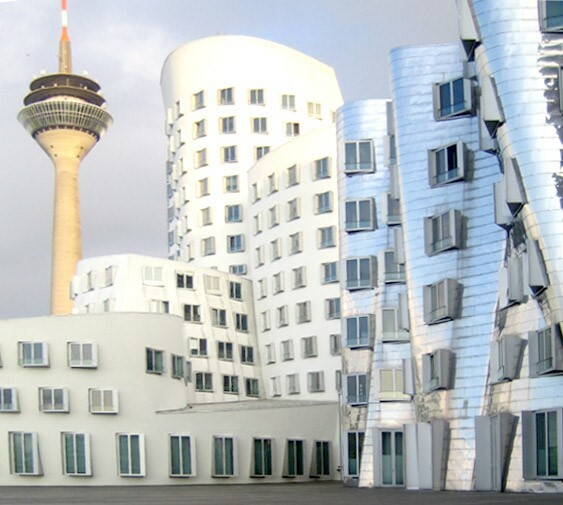 Intelligent planning of production sequences in addition to the availability of libraries in which process parameters and user product dimensions can be stored, determines the definition of a new state of the art field in terms of versatility and ease of control. Given the large number of cuts that can be performed per unit of time, the machine has been equipped with an extra-powerful cyclone-type dust exhausting system. The range of automatic in-line planetary saws in the Duet series (available in the Duet 125, Duet 160 and Duet 200 versions) includes the Duet/K (cutting with knife without material removal for HDPE and PPR) and Duet/C (cutting with chamfering unit and knife without producing chips inside the pipe) versions, in addition to the standard model for PVC. 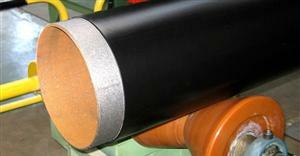 Duet/C is particularly suitable for PP lines equipped also for the production of double-joint pipes. The machines are entirely based on electro-pneumatic design eliminating all possible problems linked to the use of hydraulic actuators and hydraulic power packs, and are configured in order to optimize total energy consumption. With this range of saws Sica responds to market demands for cutting at high extrusion speeds with reduced energy consumption, ease of use and control. 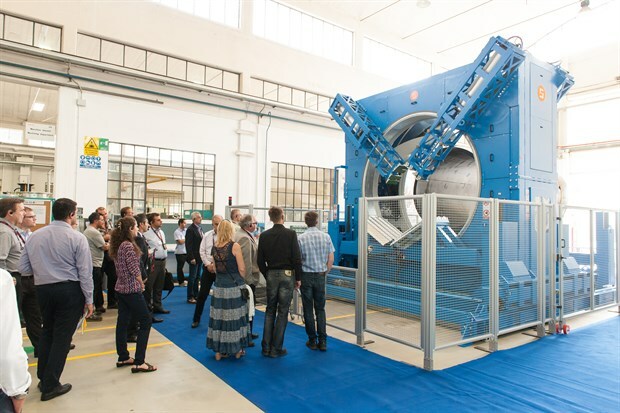 Sica, an Italian machine manufacturer, implements energy, material and cost-savings solutions for each of its newest machines. Flash 450 film coilers are no exception. In fact, the packaging method chosen reduces the quantity of film used with respect to traditional systems available on the market (up to -30%). It is an automatic coiler for packing corrugated PVC, PE and PP pipes from 16 to 25 mm diameter, in short length coils covered with stretch film. The coiler has 3 reels with centralized adjustment controls, a film dispenser with electronic tension control, universal film cutting systems and variable-geometry reel unloading device. The machine is equipped with a wireless communication system for control of the main reel functions. Flash 450 has a modern designed to reduce to a minimum any operator intervention and parts substitution for diameter change. It is safe, and easy to run and feed with pipe, film and stickers. It produces beautiful, compact and firm coils. 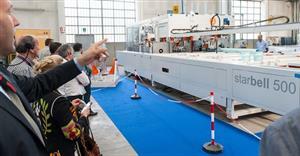 Multiple strand extrusion lines for plastic pipes are growing. 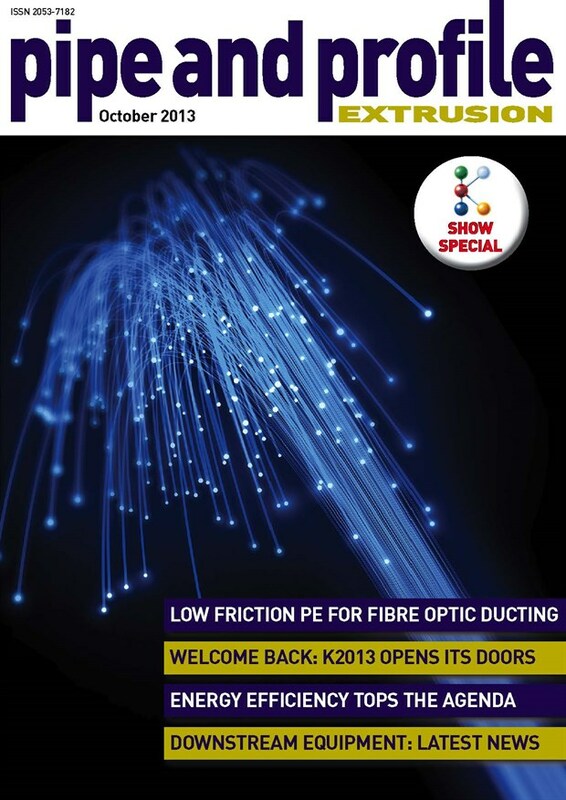 Lately, the market demand seems to be moving from double extrusion lines to quadruple extrusion lines. 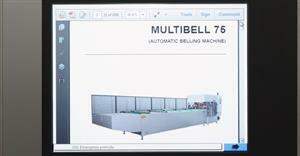 So Sica, Italian machine manufacturer, produced the first belling machine of this kind, Multibell 75Q. This is a very fast automatic belling machine specifically designed to receive PVC-U pipes coming from four-strand extrusion lines at independent speeds. 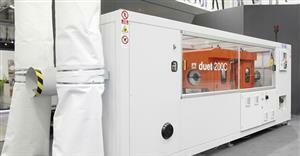 It handles high production extrusion lines and can socket up to 1200 pipes/hour. Multibell 75Q can socket pipes with output diameter ranging from 16 to 75 mm and of length from 1 to 6 m plus socket. 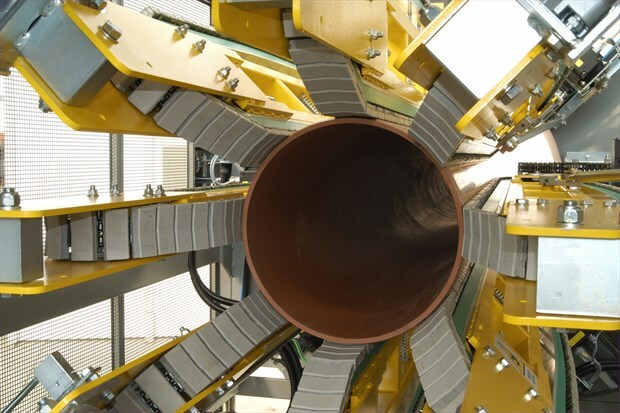 The pipes coming from each strand are moved to a buffer by means of a high-speed handling system to form a group of 2, 3 or 4 pipes, depending on the diameter. The group of pipes is moved to the hot air-recirculation oven, which warms with high precision the required pipe length to be socketed, thanks to the double automatic aligning system integrated in the oven. When the heating stage is finished, the group of pipes is moved to the multi-forming station and socketed. Solvent cement cycle or air-blowing cycle are both available, and sockets are cooled externally by precooled compressed air and internally by cold water circulating through the mandrels. For producers who want to bundle the socketed pipes, an available bagging or strapping machine can be placed in-line contributing to a complete process automation. User-friendly: the higher the line speed, the more difficult it is to control the line. Thanks to the lower extrusion speed of each strand, a four-strand extrusion line is easier to set than a two-strand extrusion line. 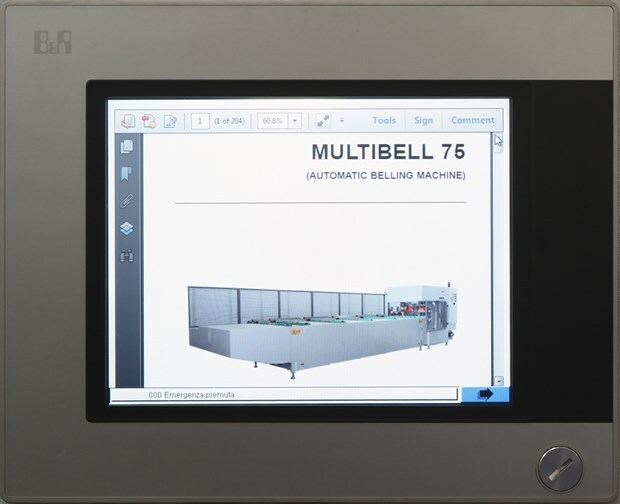 Multibell 75Q is a low energy consumption modern belling machine capable of satisfying the most demanding customers who look for value, consistent high output and fast return on investment. Bi-oriented PVC pipes are recognized for their considerable savings of raw materials while maintaining the same mechanical resistance and application in comparison to standard PVC-U pipes. The number of PVC-O pipe extrusion lines is increasing in several areas of the world, but especially in the Americas and Australia. Like PVC-U pipes, the most suitable joint system for PVC-O pipes is a socket Sica, manufacturer of plastic pipe machinery, in 1998 patented (EP0930148) and developed a unique socket thermoforming process for PVC-O pipes. 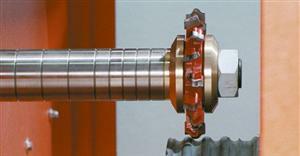 Sica’s patented system is characterized by forming and internal calibration of the socket on a metal mandrel. The heated pipe end is inserted onto the metal forming mandrel when the final thermal state of wall-thickness is uniform but varies longitudinally along the pipe. The precise final thermal state is attained through conductive heat transmission, without variation of the pipe end diameter. In addition to the process, the equipment is also protected by patent, in particular the constructive configuration of the contact oven, which achieves a stable and repeatable final heating. The sockets obtained have precise internal dimensions and a perfectly flat edge, shaped by a sliding flange on the mandrel. Thus, no further processing of the edge is required after the socket forming. 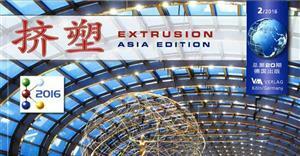 Sica belling machines, called STARBELL, are particularly suitable for direct installation in extrusion lines. 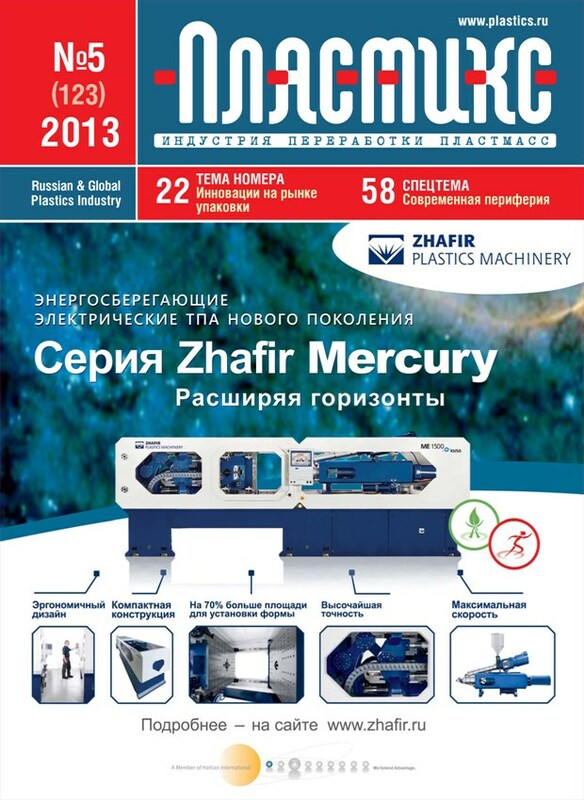 To date, Sica has sold 19 Starbell machines and over 100 forming mandrels, thus achieving vast experience in the field. 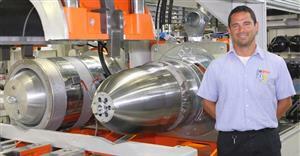 STARBELL 630 for pipes up to a maximum diameter of 630 mm. The machines are also suitable for stand-alone installation in PVC-O lines. The technical and commercial success of the STARBELL machines surely lies in their reliable and repetitive working process, in their user-friendliness and in their strong and robust design configuration. Flash 450 NEW, Flash 700, Flash 700HS. 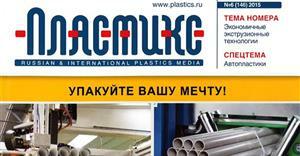 Automatic coilers for packing smooth and corrugated PVC, PE and PP pipes. 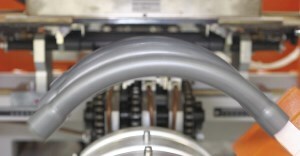 Individual coils are wrapped along their diameter with bands of stretch film. Patent on film wrapping. Multilega 700, Multilega 1300. 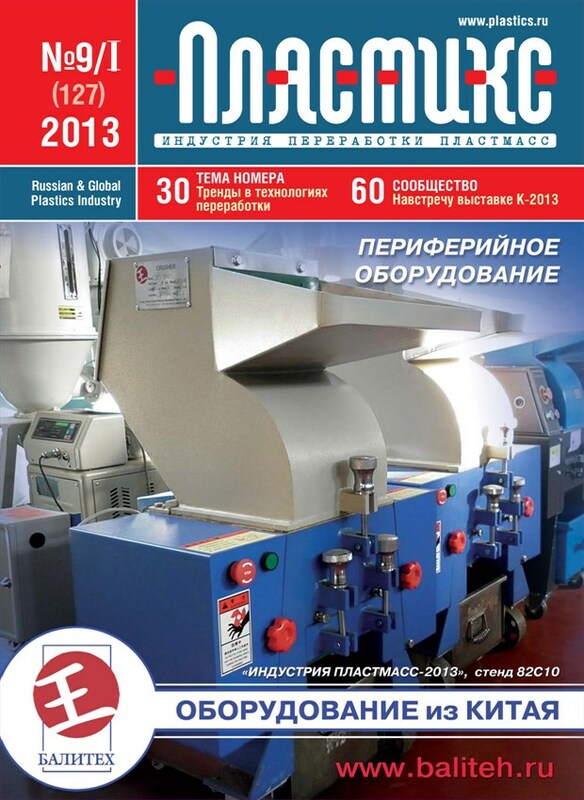 Automatic coilers for smooth and corrugated PVC, PE and PP pipes. Packaging with heat-sealed PP straps. Technocoil 2200. Automatic coilers with two-reel structure for flexible smooth and corrugated PVC, PE and PP pipes. Packaging with heat-sealed PP straps. 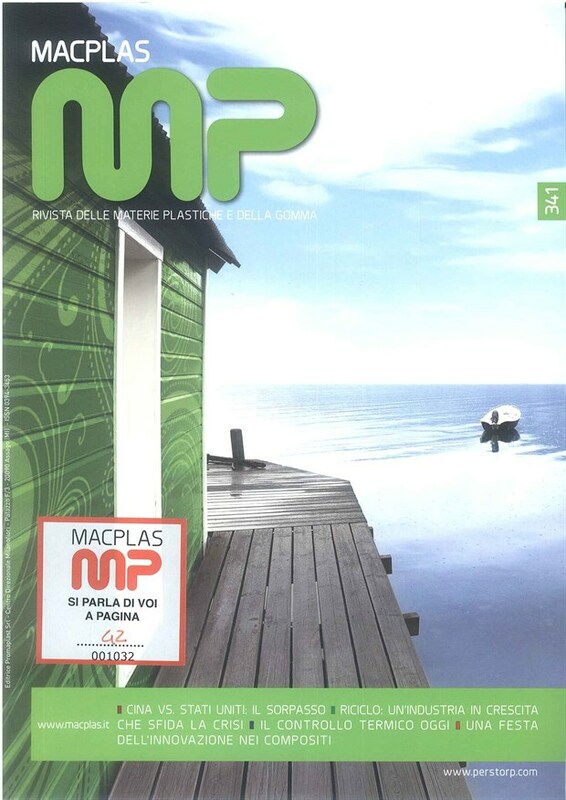 Flash 450 was recently presented at Plast 2015 in Milan. 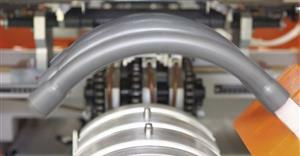 The machine processes diameters from 8 to 25 mm, in short length coils covered with stretch film. The coiler has 3 reels with centralized adjustment controls, a film dispenser with electronic tension control, universal film cutting systems and variable-geometry reel unloading device. The machine is equipped with a wireless communication system for control of the main reel functions. 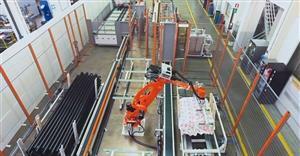 This lastest machine is now on display in Sica together with our NEW RoboJack 250 – Robotic pipe palletizer. Automatic palletizing station for PVC, PE and PP pipes, with or without sockets, OD 32-250, 1 m to 6 m in length, for the simultaneous palletizing of two different pipe lengths on carts with wooden frames. The station is equipped with a pipe magazine and an anthropomorphic robot serving as the pipe handling unit, capable of alternating the position of the sockets in the pallet layers even with minimal area available for rotation of the pipe. This system can be custom-made to your specific needs. 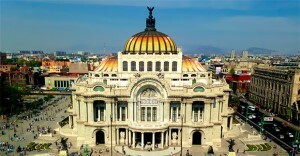 Make an appointment to come see them, it is worth the trip! 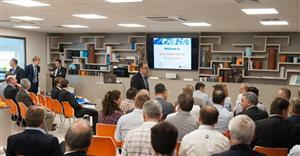 Please click on the following link to see a short video about our Open House on 11 July 2014. 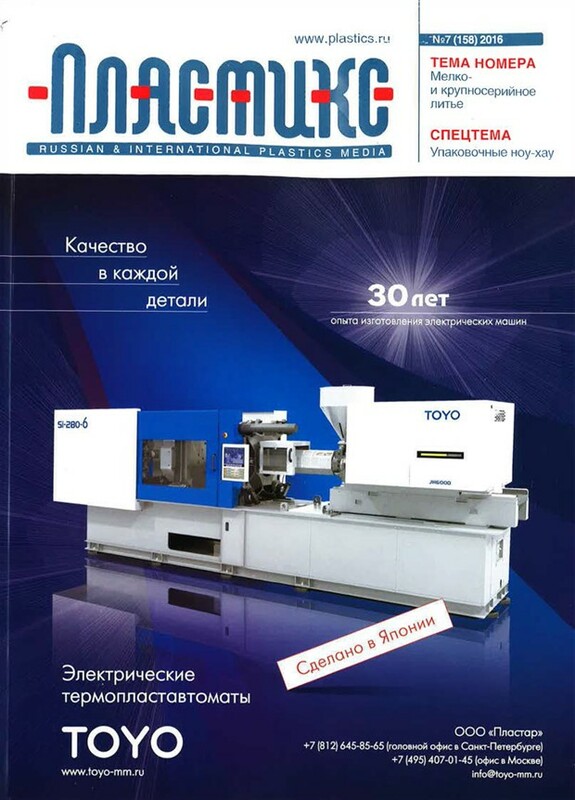 In the field of automatic machines, used in various sectors, the trend that is currently achieving the highest success is electromechanical technology. This is because the technology is able to ensure various advantages such as greater product quality, a higher percentage of products that tolerate a predefined model, reduced production waste and reduced cost of consumable materials and energy costs. 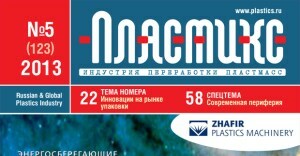 By now, this technology is developed enough to be adapted to the plastic pipe sector. 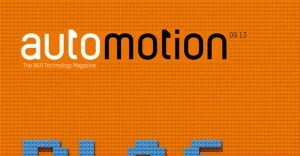 But what exactly is electromechanics for handling automatic machines? 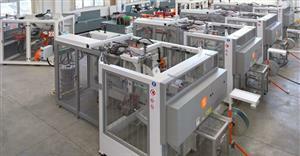 Parts of automatic machines can be handled in various ways. 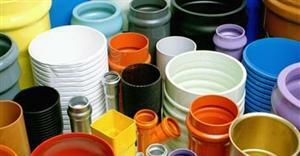 Traditionally, in the field of plastic pipe production, the predominant technologies used were hydraulics for high power and pneumatic for low power. The current development of the electronics has uprooted this paradigm For example, a simple electromechanical operation involves an electric motor, controlled by an electronic device called an inverter, and coupled to a dedicated mechanical component. There are multiple benefits to this type of application. The first benefit is greater precision and dynamism in handling. This characteristic has a positive impact on products managed, translating into higher quality, greater repeatability and reduced production waste. The increased dynamism of handling can also easily increase productivity with a higher number of products produced per hour. The second benefit in this type of application is the cost-efficiency in terms of power consumption. In a world where raw materials run out, machinery such as electromechanical machinery, able to ensure low consumption of energy and materials, offers a sure step forward. Another milestone in electromechanical handling is its tolerance to variations in production conditions, its versatility and its ease of handling. All of these aspects indicate a trend in which electromechanical technology will always make inroads in the plastic pipe sector as, equal to the investment, they ensure greater productivity and better products. Sica strongly believes in this trend. As further proof of this technology's worth, today moulding of the new Unibell E&P is available for carriage handling. As already evidenced, the precision and repeatability of handling is also clear in the socket product which appears better in terms of quality and produces notably less waste. The dynamism of the carriage and the flexibility of the application also guarantee increased productivity and practicality of use. 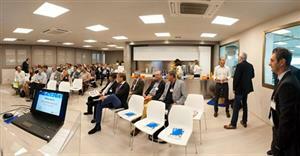 The company Sica, which recently celebrated its 50th anniversary, organized an Open House in mid-July, opening again the doors to its factory to extruder and corrugator manufacturers, and pipe producers from all over the world. 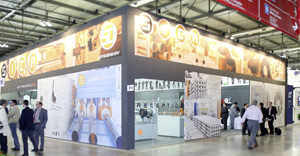 Among the 15 machines on display there were: swarfless cutting machine for PE pipes up to 2500 mm; cutting machine for cutting and chamfering without removal of material for PVC, PP and PE pipes up to 160 mm; electric belling machine for PVC pipes up to 200 mm; and multi-belling machine for PP sewage pipes up to 200 mm. 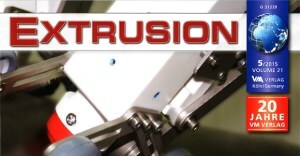 The first (TRK/C 2500) works in an extrusion line, and it cuts up to 180 mm without material removal. Sica’s solution completely avoids all the problems and the major inconveniences that result from cutting with production of chips and dust and from their subsequent collection and management. The second (TRS 160W) has been specifically designed and assembled for cutting and chamfering PP and PVC pipes without material removal. 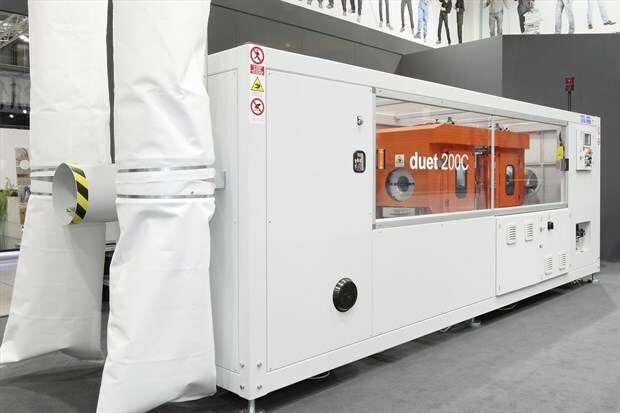 This model cuts pipes from OD 32 mm to OD 160 mm in extrusion lines. 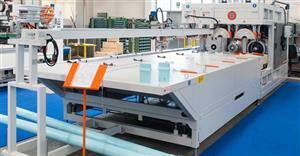 The system can also be realized for saws up to OD 500 mm. 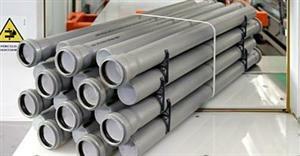 The bigger the pipe, the higher the cost savings due to material savings. The new system does not need a vacuuming system or material recycling operations, provides superior chamfer quality, requires less maintenance, and maintains a clean environment. Furthermore, the pipe is clean to be heated again in case of socketing. 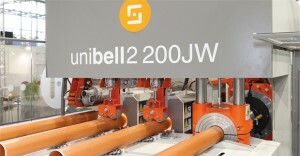 The third (Unibell1 200 JRE) has an IR-SW short-waves oven and is characterized by the electromechanical movement of the forming carriage and the complete elimination of hydraulic drives, also for the Rieber System (fully pneumatic). A screw jack, connected to a latest generation brushless motor with resolver, allows a quick and precise mandrel positioning in a closed loop with high mechanical efficiency (up to 70%) and very low noise level. Without the need for oil cooling, this solution also allows a considerable reduction of water use. Moreover, with the elimination of hydraulic movements any possible oil leakage into the environment are avoided and ordinary maintenance is reduced. Both the heating system (IR-SW oven) and the implemented forming carriage drive lead to a high level of process energy efficiency: the machine uses energy only when strictly required, during the pipe heating phase and for the duration of the carriage movement. The consequences are: faster return on investment, greater market competitiveness and greater respect for the environment. The fourth (Everbell4 200 PSP) has been completely rethought and modernized. It presents innovative features such as: pipe heating in a single IR-SW oven, and both mandrel and flange electromechanical movement. This assures high speed with accurate positioning of the belling tools, easy process parameters setting from operating panel, high energy efficiency, very low noise level, and high system reliability. 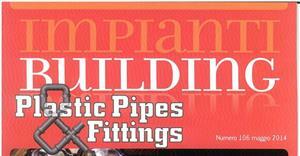 Since it sockets PP pipes, it is equipped with the Permanent Socket Profile feature. It assures the repetitiveness of the process and the shape of the socket over time. 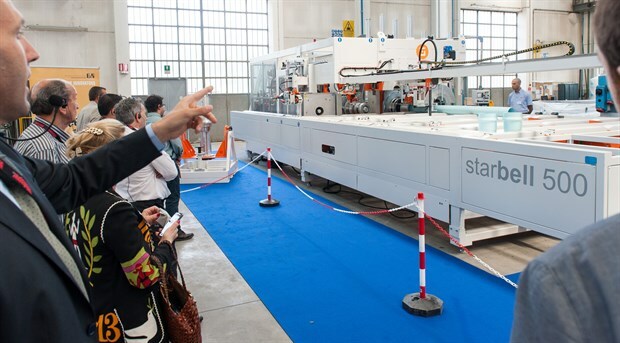 The 15 machines on show remained on display from the 11th to the 16th of July for everybody to experience Sica’s new technologies for saving money and respecting the environment. 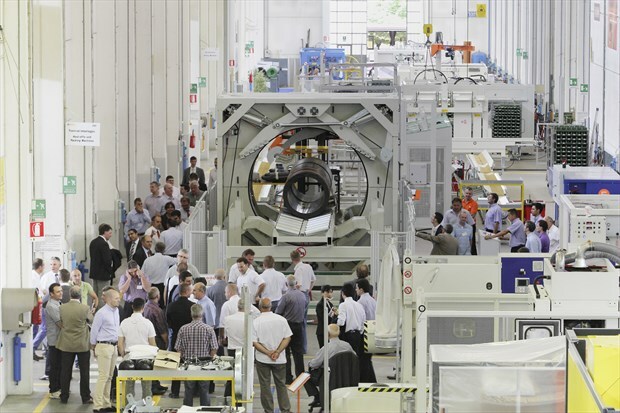 The most innovative electronic technologies and new broadband ADSL lines have made it possible to remotely maintain machines on the production line. This remote access allows specialists and Sica software developers to monitor, check, provide technical support for and modify the operation of installed machines without the need to enter the factory. The remote maintenance KIT is installed inside the control panel of the machine. Alternatively, a bundle can be provided which includes all of the material needed to temporarily or permanently install the remote maintenance device in machines that do not yet possess them. 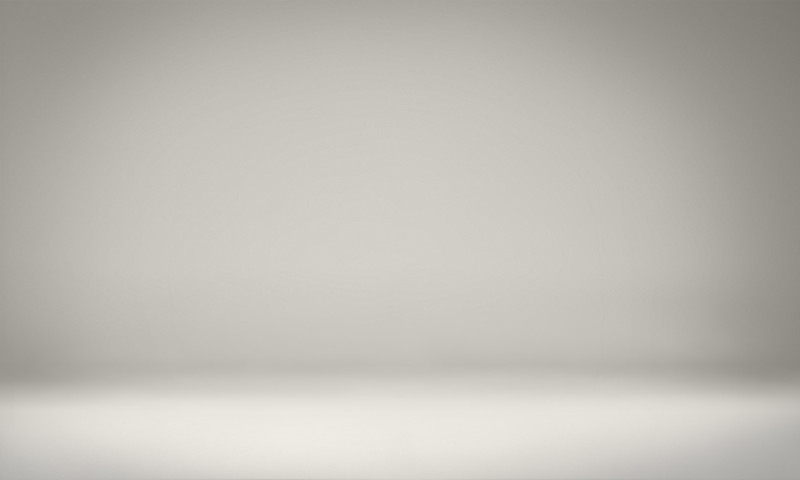 To allow Sica specialists to reach the remote maintenance device, the device must be connected to the factory's LAN network via the ethernet port and allow this port to connect to the internet. The use of high safety standards such as the VPN RELAY and the AES 256 bit data code guarantee a safe connection. 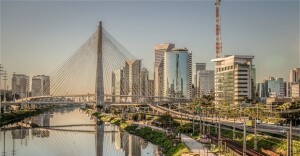 The integrated firewall also separates the traffic of automated data from the factory's network data. As an alternative to the ethernet connection, a UMTS mobile phone network can be used by inserting a USB modem (in key format), complete with an enabled data SIM, into the remote maintenance device. 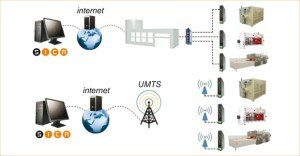 The benefits that this provides compared with the previous system that used a telephone line are: faster data transmission (and therefore better diagnostic capacity), elimination of frequent interruptions on the line which was a problem with the telephone, the ability (when using a UMTS system) to intervene in areas where it is difficult to pass wires for the internet line. 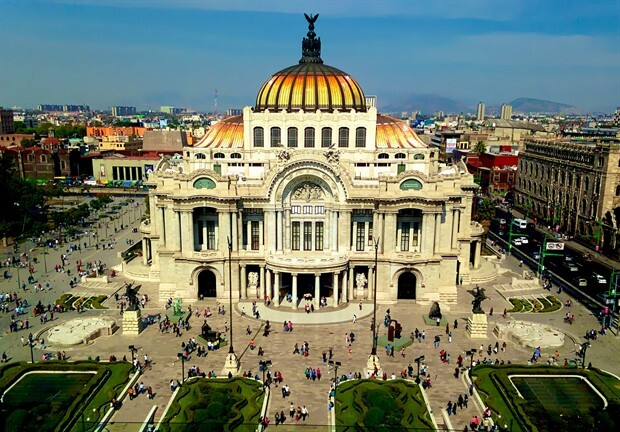 Today, through this technology, end customers and Sica specialists are even more in step with each other, even if they are located at opposite ends of the globe. 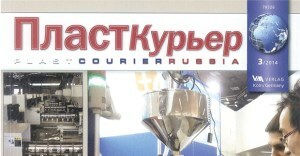 Sica's new machines equipped with an Operator Interface allow you to integrate a PDF reader with which it is possible to view technical documentation such as User Manuals, Electrical Diagrams, Pneumatic Circuit Diagrams and other documents to make it easier to refer to them when necessary, therefore improving production management. 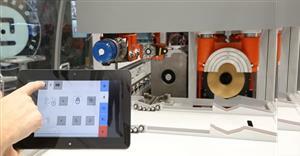 The integrated PDF reader is available as an option on newly constructed machines fitted with 10-inch operator panels. 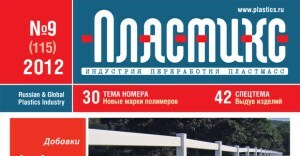 The reader is presented as a normal PDF file reader installed on the operating system of the device. Via the powerful Touch Screen (therefore without the use of a mouse and keyboard), you can access and view Electrical Diagrams, Operating Guides and other documents. Developments to come will also allow you to generate PDF files of certain important documents such as the generated recipes list, the daily production report, the list of alarms active in the machine and other important diagnostic information. This further improves production management and makes it easier to check this directly online on the machine. All of these documents will be accessible via a USB port that operators can easily reach. Through this function, combined without countless others, Sica aimed to give its machines a brand and appearance in keeping with the times, using the clear benefits of implementing new technologies whilst maintaining the traditional and consolidated reliability at international level. Sica's new machines equipped with a touch screen Operator Interface offer the option of reproducing the man-machine interface on any Personal Computer or Personal Digital Assistent (PDA) using a normal network connection. 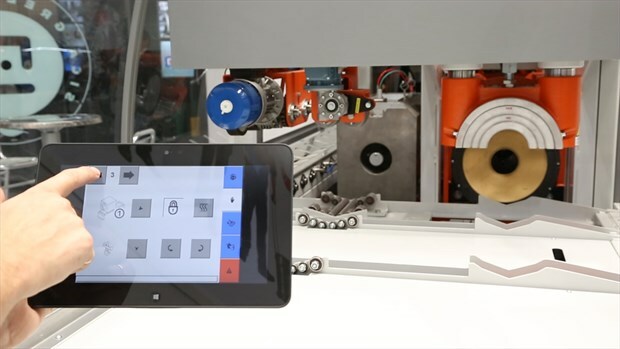 This allows you to remotely control, manage and supervise the machine functions as though you were on board the machine yourself. 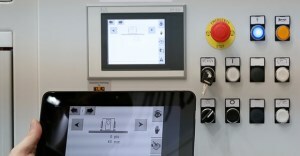 The purpose of this is to provide Sica customers with the ability to control the operator panel, and therefore the machine, from any commercial remote control device such as a personal computer, tablet or PDA (an iPhone for example). To achieve this, the device must have a TCP/IP (ethernet, internet or wifi) connection. 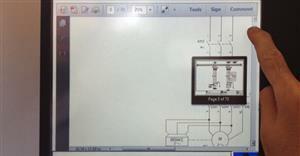 The control monitor of the Sica machine can then be accessed via a VNC client. Given that TCP/IP networks and VNC clients are very widely used, this significantly extends the field of application of the system and the possible devices that can be connected. The contents of the screen are transferred by the PLC machine to the remote device. 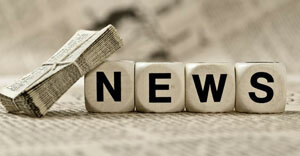 Therefore, all information that is visible on the machine display is shown and visible on the remote display. This gives you remote control of the machine, allowing you to send controls and actions via a mouse, as though you were using your finger to press on the touch display. A further benefit of this technology is that the remote panel can also be created as a copy of the main one, in various sizes and resolutions. This allows you to use monitors much larger than standard ones and get the best out of them. Another great advantage is that, in the event that the screen of the operator panel breaks (which often happens through dropping or impacts), you can quickly connect a remote monitor and continue to work with the machine in exactly the same way as you did with the original panel. This minimises the length of time that the machine is out operation and ensures immediate restarting with the same functionality of the original system. The remote device can also be used to easily move around the machine, allowing you to operate in various locations, with greater visibility and comfort for the operator compared with the standard panel fixed to the electrical control box. 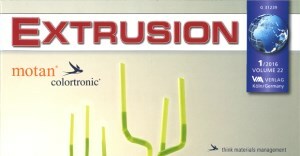 Safety is guaranteed as access to the control panel of the machine from external devices is always password protected. This means that only specified users and operators may perform operations remotely. 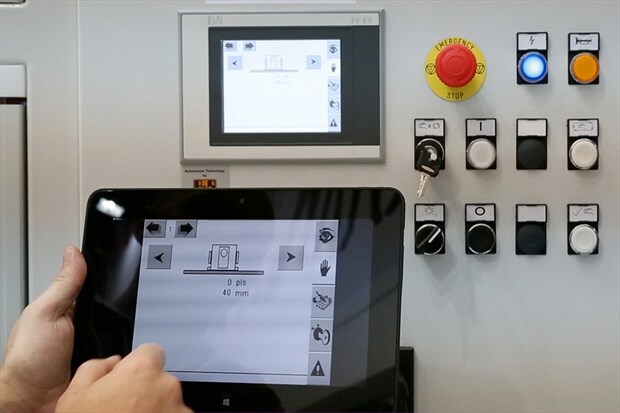 This new remote control is available for all new Sica machines equipped with touch screen display and can also be implemented in most previous machines with touch screen display. 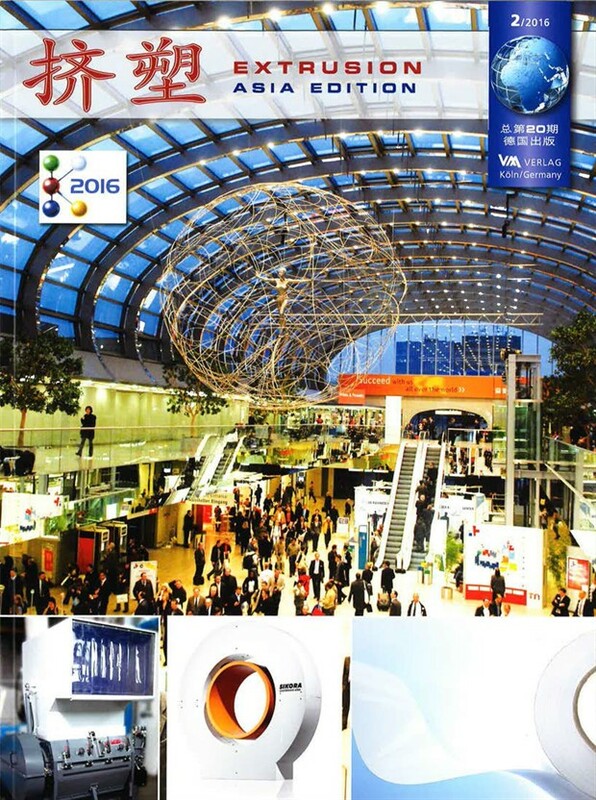 Sica presents a wide-ranging innovation at the K-exhibition in Dusseldorf: three "green" plastic pipe machines designed to save energy, materials and costs. The surprise will be great and welcomed. We can speak directly of a revolution for TRS 160 W cutting machine, because finally it can cut and chamfer without removing material. Yes, you read that correctly: without removing material. This manages to save a considerable quantity of raw material that affects the 80% of the pipe cost, but also to avoid problems of scrap suctioning and recycling. In traditional cutting machines, also in those with knife or tool, chips and dust end up partially between saw mechanisms despite suctioning; for this reason, the necessity of maintenance increases. 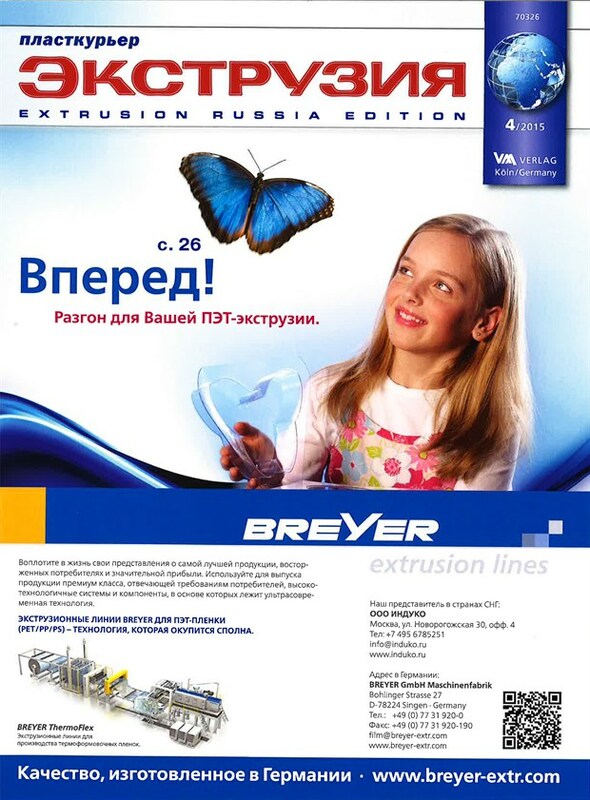 In contrast, the new TRS 160 W removes the problem with an innovative system (Patent Pending) that guarantees not only a clean and perfectly perpendicular cut with knife but also a precise and well-defined chamfer, maintaining the same productivity and a satisfactory speed; these are requirements for modern extrusion lines. 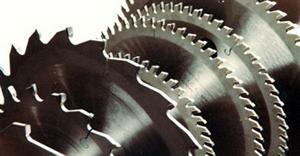 Sica's saw can cut any PVC, PP and PE plastic material. 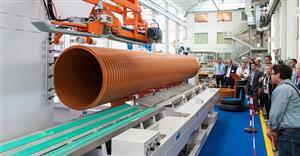 The one at the exhibition processes PVC pipes from 25 to 160 mm of diameter. The second important innovative product is the new Multibell 200M belling machine for PVC sewage pipe. Compared to the previous Everbell model, well known on the market, this new machine has been completely revised and optimized, maintaining an important productivity per hour that reaches 900 sockets/hour with the flagship version. Maintaining unchanged the quality standards and product reliability, the new machine introduces numerous technical features in view of a greatly reduced price both of machine and equipment and a lot of new advantages compared to the previous version such as more compact dimensions with equal productivity, revolutionary system for multi-socketing pipes, ease of use and quick format change. 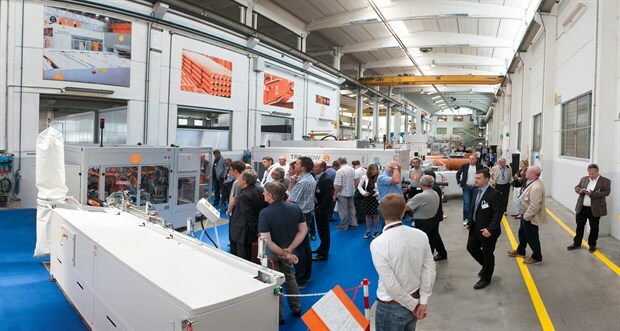 In fact, with the innovative and functional technical solutions, there's a decrease of more than the 60% of the machine tools compared to the previous model, with a significant savings for the costumer in terms of investment and time required for retooling. The machine is still completely pneumatic, with the inevitable advantages related to the higher cleanliness and the superior ease of management thanks to the absence of the hydraulic unit. New important accessibility standards have been achieved with the introduction of a completely movable machine bench: the solution allows complete and safe access to the main areas required for set-up in order to facilitate and accelerate the format change phases. New easy-to-read large format control displays complete and enrich the potential of this new range of belling machines. 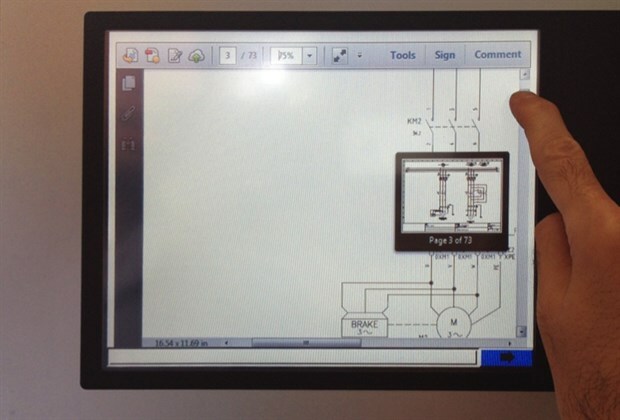 These displays have, in fact, new interesting and useful features (for example, the integrated viewer for electric and pneumatic diagrams and for the User's Manual in digital format). 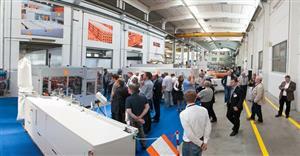 Joining the Multibell 200M for PVC is the new Everbell socketing machine for processing PP pipes. The Everbell, which maintains only the name of the previous model, has been completely rethought and modernized like the Multibell. In fact, apart from specific technical solutions for socketing polypropylene pipes, the same innovative characteristics of the new Multibell 200M are present in the Everbell. The machine inherits compact dimensions, extremely rapid setup, elimination of hydraulics, low power consumption, competitive price but high productivity, ease of use and reduced maintenance requirements. 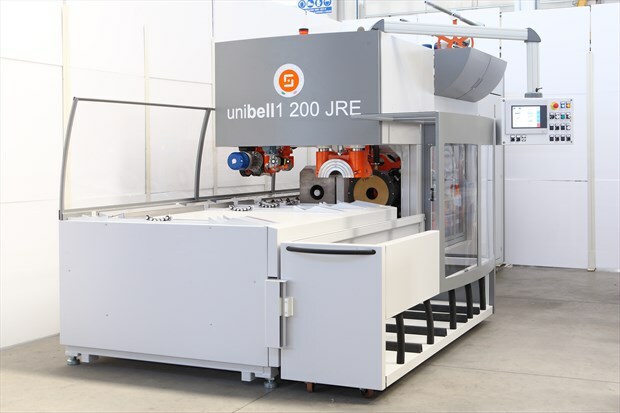 Another Sica endeavor always to produce new technologies and innovative products is the Unibell 200 E&P belling machine distinguished by the electromechanical movement of the forming carriage. With this solution the hydraulic movements are eliminated from the machine, bringing many advantages from both functional and environmental points of view. 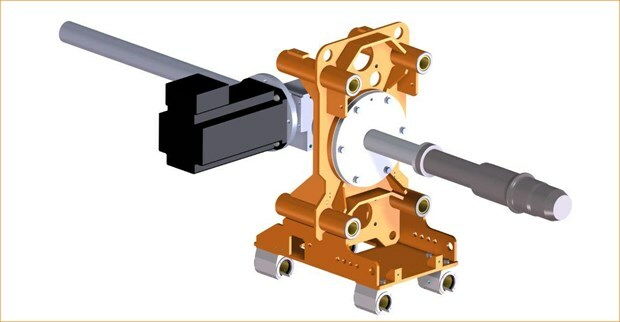 The kinematic chain composed by a brushless motor with resolver and a jackscrew with ball recirculation allows the quick and silent mandrel positioning in a closed loop with high mechanical efficiency (up to 70%). Without the need for oil cooling, this solution also allows a considerable reduction of water use. By buying the version with air cooling (Sica patent) and by integrating it with an external refrigeration system (supplied by Sica), the water is completely recirculated. Moreover, with the elimination of hydraulic movements any possible oil leakage into the environment are avoided and ordinary maintenance is reduced. The energy necessary for the forming positioning is used just for the duration of the carriage movement. Moreover, the total absence of hydraulic units brings a significant energy saving, because hydraulic units have a clearly lower total efficiency than this new device. The obvious consequences are: faster return on investment, greater market competitiveness and greater respect for the environment. With the launch of these machines, we can speak of Sica's "green" turning point. 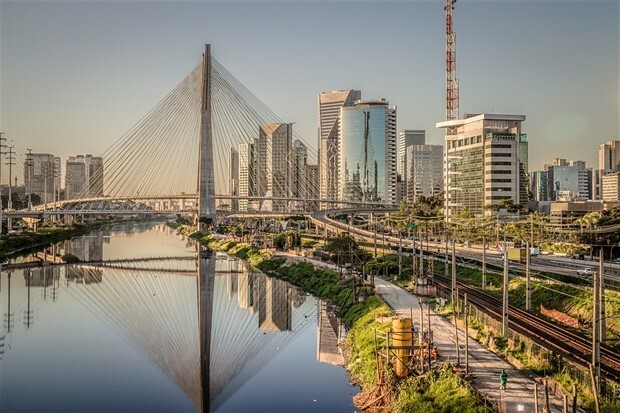 Along with functionality, productivity and quality at the right price, more attention is paid to the environment, and energy and material savings for an sustainable economy. 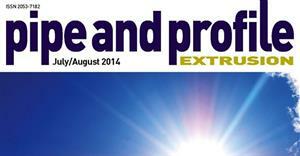 Environmental conservation and savings for a better world! Sica is aware of its technological know-how and its thirty-year experience in the field of the automatic cutting process of plastic pipes. The company has increased its range of planetary saws for HD-PE pipes with big diameters and high thickened walls that haul pressure fluids, introducing the new TRK/C 2500, completing the other model range with high dimensions such as TRK/C 2000 and TRK/D 2000 (specific for corrugated pipes); these are long since installed in extrusion lines and work full time. 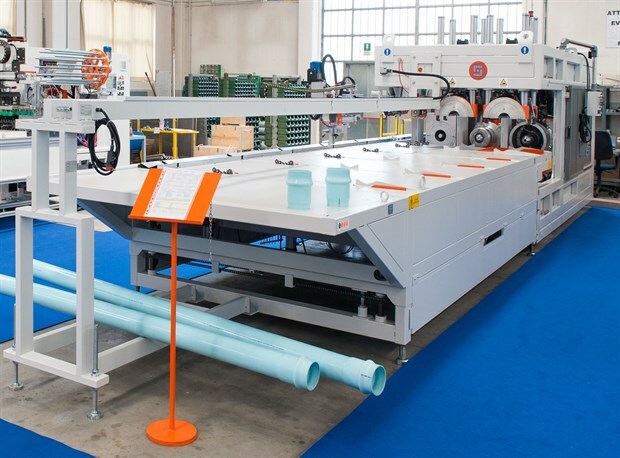 The new machine has been specifically designed and assembled for cutting PE pipes from OD 710mm to OD 2540 mm (100’’), in extrusion line, without material removal, that is typical of the classic cutting system with toothed disc; in this way, it completely avoids all the problems and the heavy inconveniences that depend on the production of chips and dust and on their consequent collection and management. In facts, TRK/C 2500 cuts with circular idler blade and has got specific tools that modify the operative conditions of the working process, without penalizing the energy consumption or the overall dimensions. The new system that controls the cutting process makes the action of the machine more indifferent to the status of the pipe (ovality, thickness inconstancy, working temperature, etc.) 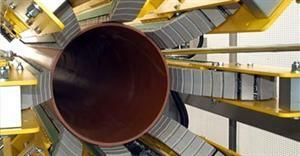 and grants a superior cutting quality, even if the pipe has shape anomalies. The machine is equipped with universal pipe clamps that do not need reductions or ancillary units when the working diameter changes, but which automatically adapt to different diameters, granting a constant grip of the pipe and, consequently, a high quality of the realized cut. The cutting action is hydraulically realized so that the pipe can be easily penetrated, while the cutting unit movement is electric with automatic synchronization with the extrusion speed, configurable in accordance with the most updated and widespread wiring specifications. Strong electomechanic supports - with automatic positioning depending on the working diameter, both incoming and exiting the machine - sustain in a rigid and constant way the entire range of pipes that the saw can manage. 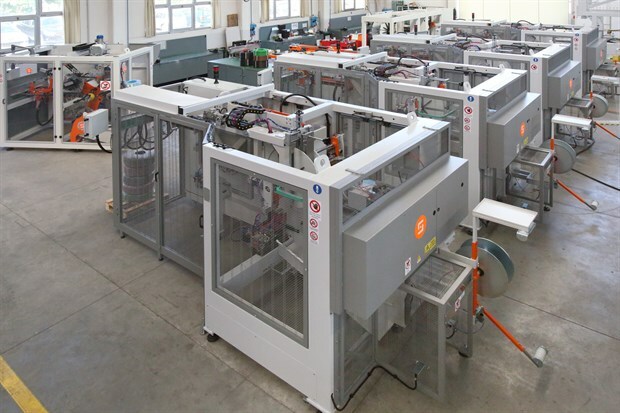 The machine is characterized by high safety standard and easiness: perimetral protections with interlocked doors and anti-access systems with laser barriers and an advanced control system in PLC logic with graphic interface on a touch-screen display, for a rapid and intuitive management of the entire cutting process. The new TRK/C 2500 represents the best technologic answer to the new exigencies in the market of HD-PE pipes with high thickness and very big diameters, mixing high performances and low energy consumptions, user-friendly process and versatility, operative safeness and attention to the environment that today are fundamental factors and that, for this reason, are present in all new Sica’s products. The BMS 63 is Sica's automatic machine for bending and socketing with exceptional rapidity PVC pipes common in electronic and telephonic systems. 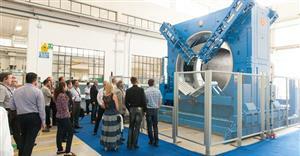 In particular, this machine can process pipes with a diameter from 16 to 63 mm, with possible final length from 140 to 650 mm. The machine is equipped with a versatile multi-bender and multi-belling system that can bend with a variable angle between 90 and 0° (so, it can also avoid bending) and with bend radius from 1 to 5 times larger than the diameter of the pipe itself. In this way, every possible production need can be satisfied. The bending is hydraulic/pneumatic, and it is controlled through specific proportional valves and linear encoder that guarantees absolute precision and repeatability of the process. Every setting is automatically adjusted from the operational panel with the machine in operation, which prevents interruptions, manual changes or dangerous access into the unit. 1 ejection unit of final bent/belled parts. The final product is unloading in a collection cart supplied with the machine. This allows easy removal of the product, while also permitting a check of the bent/belled product with total security during machine operation to make real-time changes to the necessary parameters for optimizing the process. The machine can, if required, be equipped with a suitable AL/T63 storage feeder with which BMS 63 becomes a system for creating bent pipes. 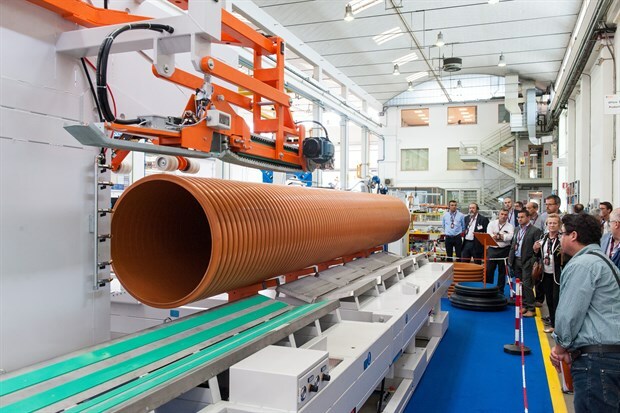 In fact, the system can store pipes 3 m long, automatically generate pieces of desired lengths (with a specific cutting system with millimetric precision), and feed continually the bending machine, fully automating the process. Security, management ease, rapid set-up and format change, minimal level of required maintenance, high productivity per hour and high precision in realizing the characteristics of the desired product, distinguish and confirm the quality and the technology of Sica products. 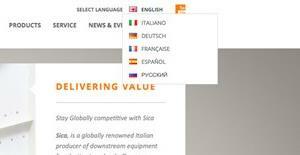 Along with English and Italian, our new website is now available in French, German, Spanish, and Russian. 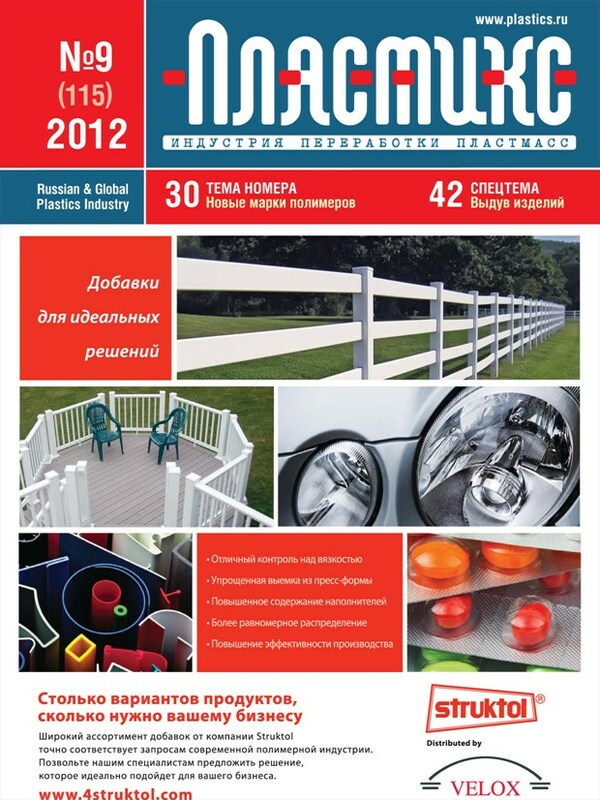 Please visit Sica's website to see the latest news and products.